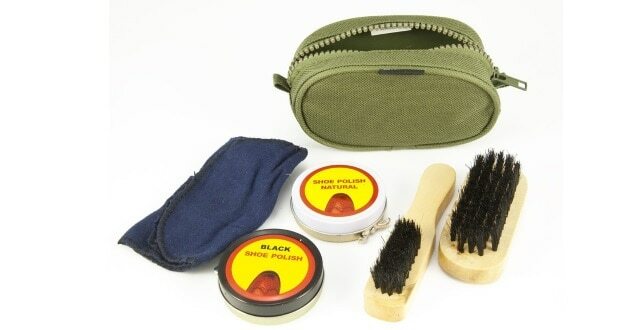 Police Discount Offers bring you this simple and cheap Boot cleaning kit. It is ideal for keeping in your locker or kit bag and won’t take up much room. It comes with two tins of polish – black and neutral. It has two brushes for on and off cleaning, plus a duster. All the items are stored in a small and compact olive canvas bag.